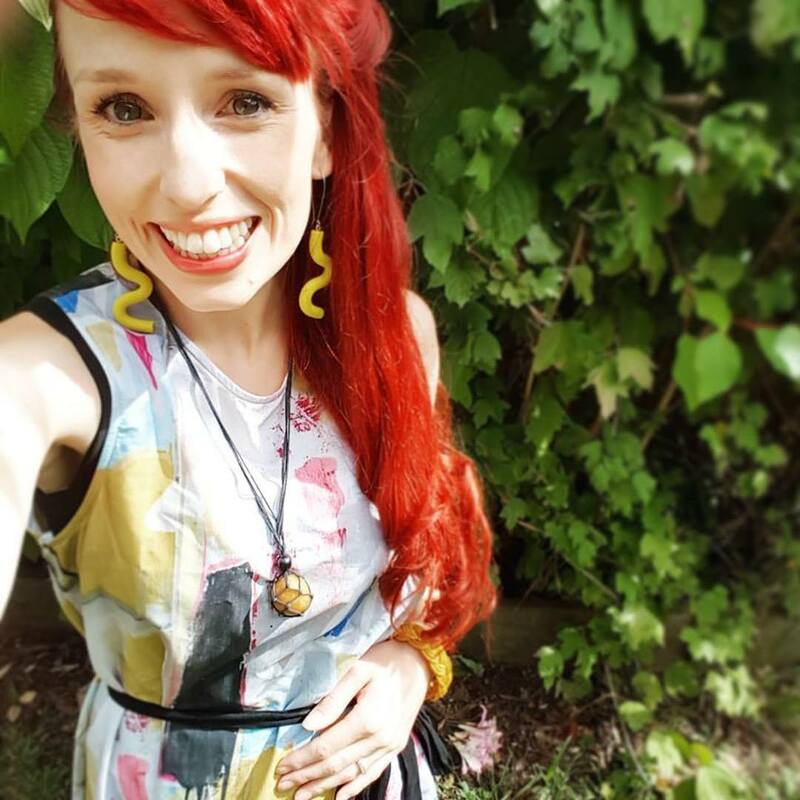 Merrin Dorothy is a cheerful and vibrant mother and general store owner from Yinnar, Victoria, Australia who creates inspired and playful watercolour illustrations for young and old. Her creations share her love of puns, whimsy, animals and nature, bringing joy with a riot of colour and a dash of cheekiness. When she is not covered in paint, you can find her making lolly bags at the Yinnar General Store, which prides itself on supporting local artists and makers. Merrin draws inspiration from the magical stories of her childhood whilst growing up on a sheep farm in central Gippsland. Her work often focuses on flora, fauna, the mysterious natural world and dreamlike imagery. The daughter of two English teachers, Merrin frequently employs amusing word-play in her illustrations. Merrin lives in Yinnar, Victoria, Australia with her husband Matt, her son Milo, two miniature sausage dogs Schnitzel and Chipolata and a black and white cat named Slinky. Merrin’s work begins with loose conceptual sketches in pencil or paint, moving quickly to experimenting further in watercolour. Her use of watercolours is unusual, applying white liberally to blend creamy pastels and brights and layering the paint thickly instead of in the whispy and delicate style traditionally employed. Acrylics and ink are also used to complete her illustrations. Some illustrations are created from a series of individual paintings which are later combined digitally. Her experimentation with new themes is constantly evolving, transforming the everyday into a merry adventure. Merrin is always working on new designs, follow her on social media and if you spot a particular design you like comment or message her to let her know you would like to see it available in her store. She also has a large range of cards and prints with designs not listed in her store, these are available to order directly through Merrin, contact her if you are interested. Are you after a customised gift for someone special or a unique line for your store? Merrin would love to hear your ideas. She can create custom artwork or patterns based on your ideas and is interested in collaborations with other designers, stylists, stores, makers and everyone in between. There is no idea too silly, too small or too big. Contact Merrin and make something wonderful happen! Wholesale is available, get in touch if you are a retailer interested in stocking Make Merriness products. Merrin can work with you to create a line of products to suit your store. 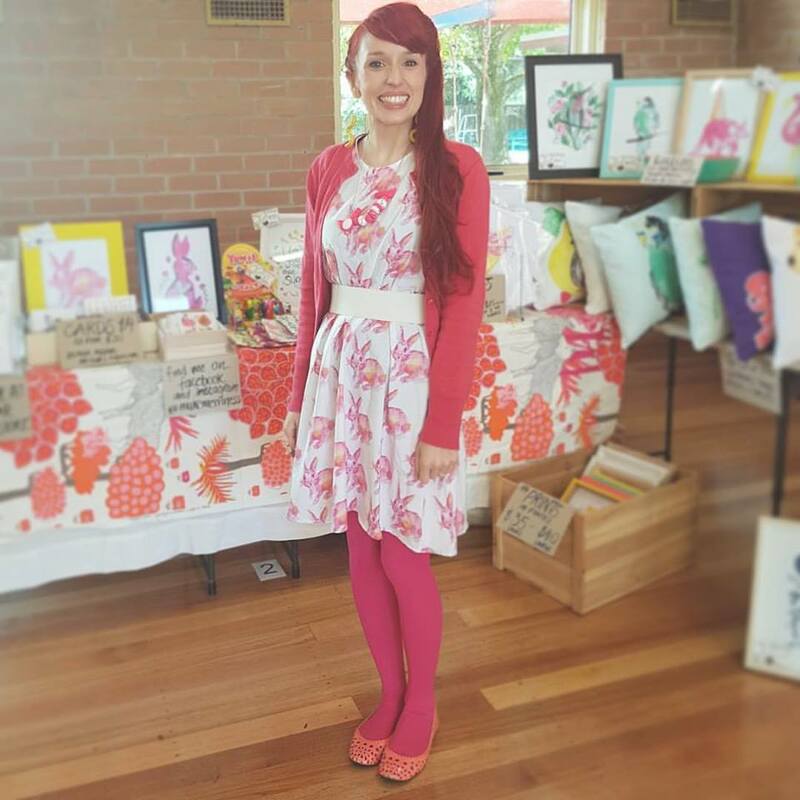 Merrin would absolutely love to hear from you and see photos of where her designs end up! She loves connecting with people on social media so drop by and say hello! Do you have a fun and colourful personality? Do you have a flair for styling and/or photography? Do you have more than 1000 followers on social media or your blog? Get in touch about becoming a Make Merriness brand rep. Places are limited. Thank you for your support and for spreading the word about makemerriness!